BlackBerry Q10 to be launched in India on June 6th? With T-Mobile rumored to be launching the QWERTY equipped BlackBerry Q10 on June 5th, there is now further speculation that the phone will be coming to India the very next day. BlackBerry has already sent out invitations to a press event in India for June 6th. The Canadian manufacturer is expecting more demand for the model from BlackBerry fans who are used to typing on a BlackBerry QWERTY keyboard. In the U.S., the BlackBerry Q10 is going to be priced $50 more than the all-touch BlackBerry Z10 at a price of $249.99 on contract. Despite this, reports from India have the Q10 priced at 35,000-40,000 INR ($619-707 USD) which is lower than the price for the all-touch BlackBerry Z10. The latter carries a price of 43,490 INR ($795 USD). As an emerging market, pricing a device is trickier in India. List a phone too high for the consumers in the country, and it will just sit around collecting dust. Apple recently discovered this with the Apple iPhone. By offering installment plans and price cuts, the Cupertino based firm was able to increase sales of its iconic smartphone in India by 400%. The BlackBerry Z10 launched in India back in March and sales topped BlackBerry's expectations. 45% of those buying the Z10 came from another platform. 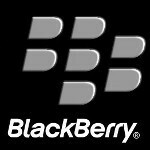 A recent survey taken at BlackBerry Live in Orlando showed that 64% of those former 'Berry users who switched to the Apple iPhone or an Android model, are tempted by the Q10 to switch back to BlackBerry. 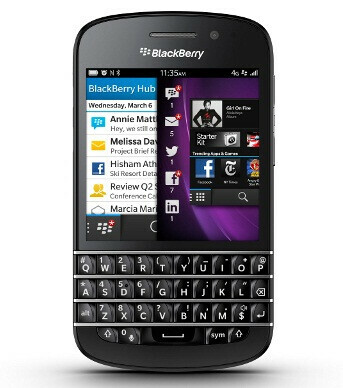 At the same time, 76% of current BlackBerry users said that the QWERTY equipped unit is enough to keep them loyal. "In the U.S., the BlackBerry Q10 is going to be priced $50 more than the all-touch BlackBerry Z10 at a price of $249.99 on contract." Wrong, keep up with the carrier announcements guys. Verizon is charging $199 on a 2 year contract and T-Mobile is charging $99 up front and 20 payments per month.